Oh I am soooooooooooooo excited. The fall giveaway continues today. 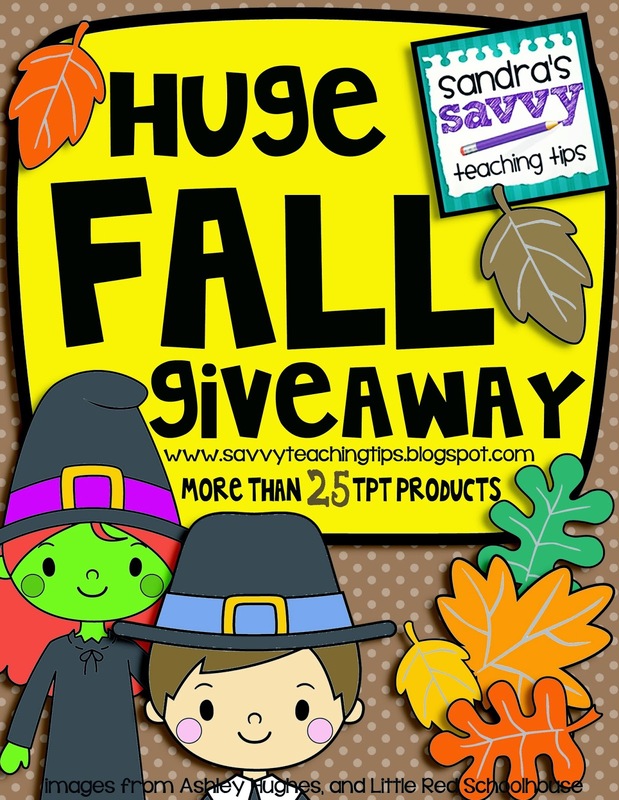 25 fantastic Teachers Pay Teachers sellers are sharing 25 fabulous products geared towards primary grades. There's a tons of wonderful stuff here. I am so thankful to all of these stores for sharing with us. Here's the deal. Follow my store, my facebook page, my twitter and my pinterest to get extra entries and more chances to win. You can scroll down for more information, and every day this week I will be featuring a few products that you could win. So please join us in the fun! So how about some information about all these fantastic products? 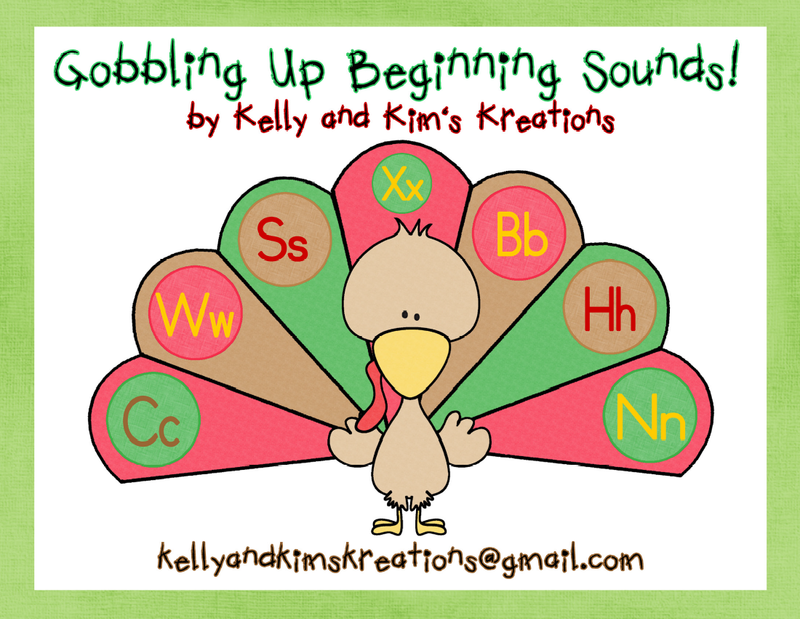 “Gobbling Up Beginning Sounds” is an adorable beginning sound to letter matching activity that will be fun for your students to complete during your Thanksgiving, turkeys, harvest, or fall learning units. Students will identify the beginning sound of the picture circles and then they will match each picture to the correct letter shown on each turkey’s top feather. This beginning sounds center activity will help your students practice identifying beginning sounds of words, identifying their alphabet letters, and also enhancing their vocabulary retrieval of each clipart picture shown. Your students will love this activity and it works well as a whole group activity, a small group activity, a partner activity, or an independent center. Bonus: Three individual assessments are also included in this activity pack! The “Hallowe’en Journal Prompts” package contains 25 writing prompts that you can use to support the development of your students’ writing skills. 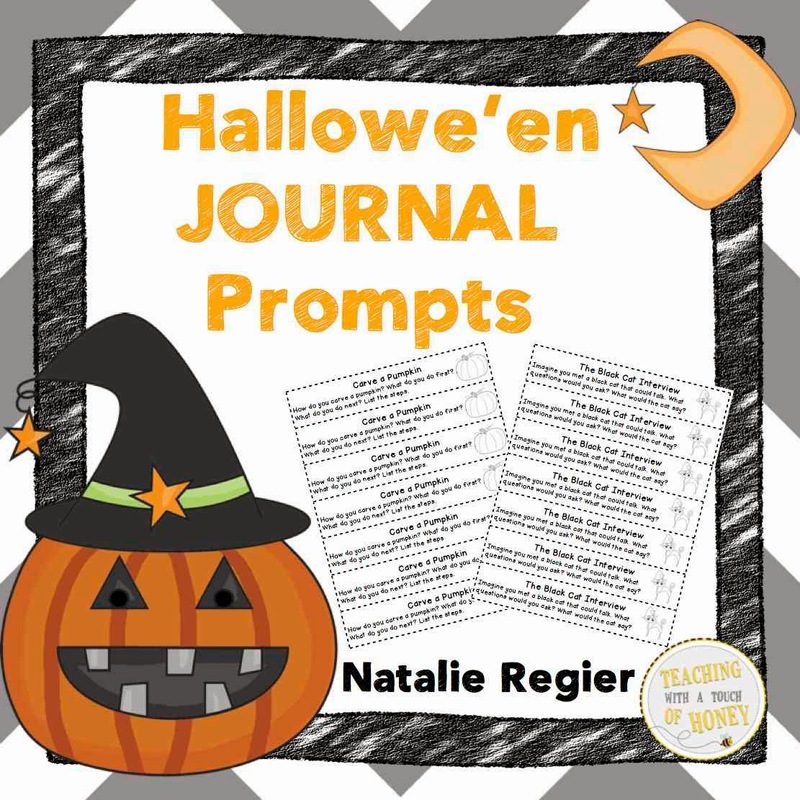 Whether you are currently using journals on a regular basis or choose to create a Hallowe’en Journal, use these writing prompts to promote writing in your classroom. The writing prompts encourage students to further develop their informative, narrative, and opinion writing skills in an informal way. Along with the writing prompts, colour and black and white templates for creating Hallowe’en Journals are included. For each page, students will find the sum in each box. Once they have the sum, they will color the box to match the number given above. Once they have colored all of the boxes, they will reveal a fall or Halloween picture! The pictures include: candy corn, black cat, apple, fall tree, Frankenstein, jack-o'-lantern, scarecrow, fall corn, and a barn and silo (see preview for all pictures). *NOTE: The jack-o'-lantern in this packet is the same in the Holidays packet, but the background color and the numbers have been changed. The pages are provided in black and white, as well as a color version for the answers. My store url is http://www.teacherspayteachers.com/Store/Dabbling-In-Differentiation. My facebook page is https://www.facebook.com/dabblingindifferentiation. 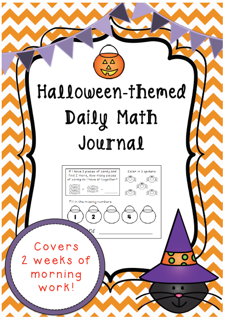 "Engage students in daily math centres with this Halloween-themed math journal! Over two weeks, students will practice addition, subtraction, grouping and writing numbers, all while counting down to All Hallows' Eve! Finish the journal on Friday the 31st of October and students can enjoy not only the spoils of Halloween, but the satisfaction of finishing their journal!"